Just a few weeks after the release of Waltzed in from the Rumbling, we caught up with Plants and Animals in between concerts, somewhere on the American Eastern seaboard. 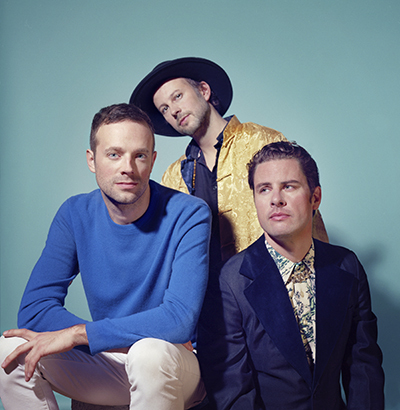 The trio’s new album, their first after a four-year hiatus, sees the Montréalers take a new, more subtle, pop-rock direction full of captivating grooves. Theirs is a serene and calm musical road – the antithesis of their current road trip. Plants and Animals have found that balance on Waltzed in from the Rumbling, a gorgeous, meticulous album in which they re-discover their love for folk songs, first evident on their debut album Parc Avenue (short-listed for the 2008 Polaris Prize) – while doing away with that album’s psychedelic flourishes and replacing them with stripped-down grooves. 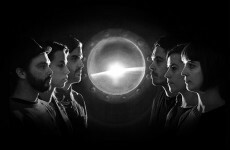 “All we’re trying to do is create music that expresses who we are today,” Basque explains. It’s a carefully crafted album in the sense that each song has a twist to it, but without showing off or being theatrical; a reflection of musical maturity. “Now, we try to transition emotionally rather than using tempo or structural changes, the kinds of things that impress people,” says Basque. The album includes subtle string arrangements, as well as two backing vocalists (Katie Moore and Adèle Trottier-Rivard) who bring a new feminine touch to the repertoire. The songs – including the lyrics, written by singer and guitarist Warren Spicer – were written on the fly, in the studio, and have that classic rock je ne sais quoi reminiscent of the warm, rallying sound of 10cc or Blood, Sweat & Tears of yesteryear. But not really that of Radiohead, which several music journalists and critics have evoked. OK, so even if the younger of the twin sister duo was only responsible for half of their creative output, it would still merit an extended round of applause. Over one million albums sold; JUNO Awards, the Polaris short list, and Grammy nominations; recording with dance music heavyweights Tiësto and David Guetta; touring with Neil Young and sharing the stage with Taylor Swift; performing at the Academy Awards; and writing songs like “Walking with A Ghost” (covered by The White Stripes), the double-platinum download, “Closer,” and the shiny new hit “Boyfriend,” from the duo’s new album Love You to Death. Back when Tegan and Sara first emerged from Calgary, signing to Neil Young’s Vapor Label for their 2000 debut This Business of Art, this country’s music landscape was as full of rock as the Canadian Shield, with the Our Lady Peaces and Tea Parties about to give way to the reign of Nickelback. So the duo’s acoustic guitar-based music was dubbed indie, then later, alternative. But from the beginning, Tegan and Sara were making pop music. It’s just easier to hear it as such now. Love you to Death continues in the trajectory they set upon in 2007 with The Con, which kicked into overdrive with 2013’s mainstream breakout Heartthrob – completing the group’s transformation into a full-on, Top 40, dancefloor synth-pop act. One without guitars, even. “I’ve always struggled with describing us,” Sara Quin explains. 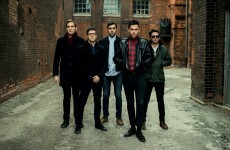 “We identified with indie rock for a long time. I think that just meant we were sort of in the underground and we play guitar. On our early records, I hear a lot of our punk influences. We were writing in this really choppy, truncated way: two minutes, boom-boom. Very aggressive. Then by [2004’s] So Jealous, we were exploring arrangements, and the textures of what our music and voices could do. The Con was an extension of that. Over the years, that intense creative relationship has proven very successful, but also sometimes strained. In the new single “100x,” the lyrics “I told you that I needed out/ And I couldn’t stay / Couldn’t stay here one more day” will play as a straight-up relationship song, but it’s also about the times the pair almost split over wanting to go in different musical directions. Of their unique writing partnership (and no, the twins do not possess telepathic superpowers), Sara explains how technology has allowed them to work more closely with less danger of interfering in their personal relationship. “The process has definitely gotten easier,” she says. 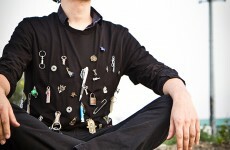 “Technology like Logic allows us to hone our craft without being dependent on studios. That process really hit its groove [for us] in the past eight or nine years – writing and recording ourselves before going into the studio. “Also, computers actually allow us an intimacy. It’s never really worked for us to sit in a room and write together. [Now] I can write my songs, work on them alone, send Tegan the files, and then she can go in and add her own things, or even just take a crack at re-arranging or editing a part. It’s a much more effective collaboration. There’s one outsider who’s always invited into their creative process: the producer. In selecting this important member of the team, Tegan and Sara have consistently chosen producers who are also musicians. 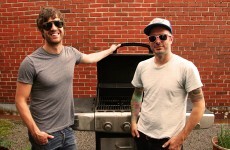 The debut was handled by Toronto singer-songwriter Hawksley Workman; Jon Collins (New Pornographers, Destroyer) and David Carswell (The Evaporators, The Smugglers) co-produced 2002’s If It was You and So Jealous; for The Con and 2009’s Polaris Music Prize-shortlisted Sainthood they enlisted Chris Walla (Death Cab for Cutie). Heartthrob’s team of heavyweights, including producers Rob Cavallo (Green Day, My Chemical Romance) and Greg Kurstin (Kelly Clarkston, P!nk, Sia) also used bassists Justin Meldal-Johnsen (Beck, Nine Inch Nails) and Mike Elizondo (Dr. Dre, Eminem). But it was Kurstin, a graduate of the jazz conservatory, and co-founder of the ‘90s alt-rock group Geggy Tah, who became Tegan and Sara’s sole producer on Love You to Death. 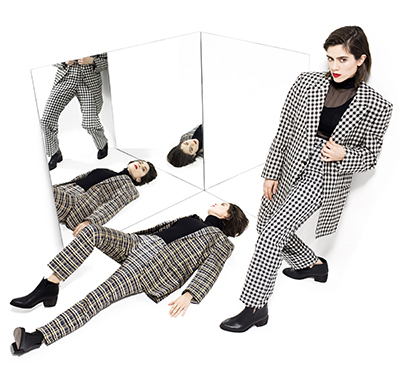 Fifteen years into her music career, Sara, 35, feels pretty rock-solid about the state of affairs for Tegan and Sara, both as artists and as businesswomen. And about her own abilities to translate what’s in her head and heart onto a record and out into the world. In March of 2016, The True North Gallery-The Music Gallery in Waterdown, ON, opened its doors. Owned by True North Records/Linus Entertainment head Geoff Kulawick and wife Brooke, it showcases art created by a veritable Hall of Fame of stars from the music world. The list of those whose work is on the walls there includes Miles Davis, Tony Bennett, Buffy Sainte-Marie, Patti Smith, Michael Jackson, Bob Dylan, Ron Wood, Paul McCartney, John Lennon, Ringo Starr, Jerry Garcia and Jimi Hendrix, as well as SOCAN members Joni Mitchell, Leonard Cohen, Murray McLauchlan, Marc Jordan and David Francey. The exhibition prompted us to consider the parallels between songwriting and the visual arts, and we asked five SOCAN members skilled in both fields to contribute their thoughts and experiences. Hamilton’s JUNO Award-winning musical maverick Tom Wilson (Junkhouse, Blackie and The Rodeo Kings, Lee Harvey Osmond) is now also an in-demand visual artist. He produces large and colourful works reflective of his larger-than-life persona, and he discusses his art with typical gusto. Wilson has had other shows, but prefers to sell through his website. 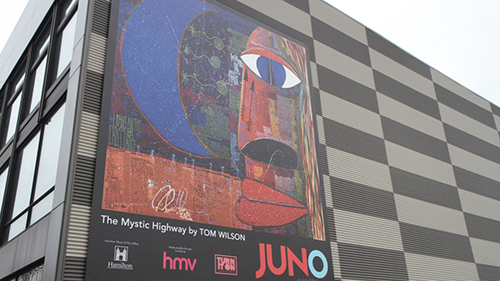 Last year, the Canadian Academy of Recording Arts and Sciences (CARAS) and the City of Hamilton music office commissioned The Mystic Highway, a 40 ft. x 40 ft. mural that pays tribute Hamilton’s rich musical past and present. It was displayed in the city’s downtown, coinciding with the 2015 JUNO Week and Awards. As a longtime member of The Rheostatics, singer-songwriter and guitarist Martin Tielli achieved Canadian indie rock stardom. 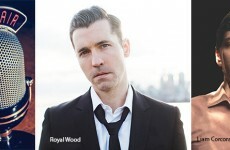 His talent as a visual artist has been showcased in striking album covers for that group, his own solo projects, and those of other musicians. A recent Rheostatics reunion concert aside, Tielli has left music behind. “I stopped music altogether, and have been painting full-time for about seven years now,” he says. “That has been a pretty seamless transition psychologically. In playing music and painting, the physical movements are different but the psychology is the same. I never thought of them very differently. 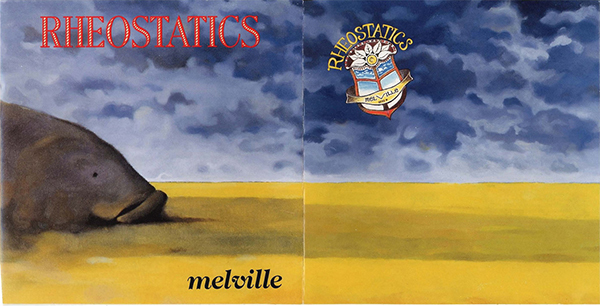 Designing Rheostatics-related artwork came naturally. “It made sense that somebody who’s part of the making of the music should have a clear idea of what it should look like,” he says. Acclaimed singer-songwriter Sarah Slean has long been attracted to and influenced by visual art. “I think it’s an ancient urge. We all draw as kids,” she says. 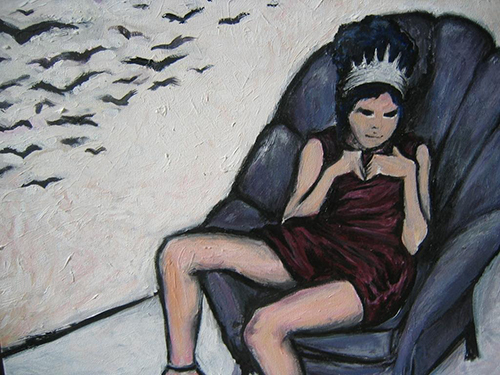 “I went back to drawing and painting in my twenties, as a way of soothing my frustrations with music. Turning off the ears in favour of the eyes, and shifting the brain’s focus from time to space, is extremely helpful in freeing up that blocked creative energy. But she has continued to sketch and paint. 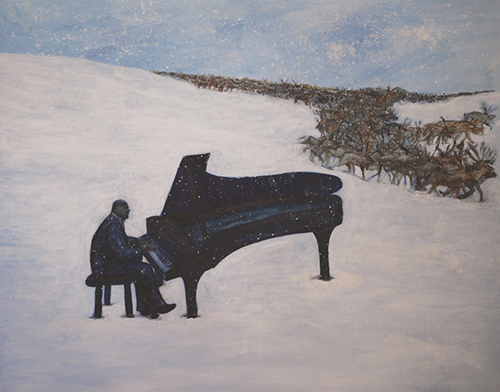 The True North Gallery show, her first public exhibition, primarily features her colourful depictions of such jazz heroes and inspirations as Thelonious Monk, Louis Armstrong and Oscar Peterson. Bunnett fluctuates between music and art, depending on her performance and recording schedule. The return of Maqueque, her acclaimed project with young female Cuban jazz players, means those players now stay in the room Bunnett usually uses as her art studio. “I may take my paints up to our cabin and paint there, or work in my sketchbook and plan something down the road,” she says. Her sketchbook has long been a constant companion on her travels, and it is full of vivid depictions of scenes from as far afield as the Caribbean, Saskatchewan, and Serbia. Singer-songwriter, screen composer, guitarist, painter and multi-media artist Kurt Swinghammer has enjoyed a long and successful career in both music and the visual arts. 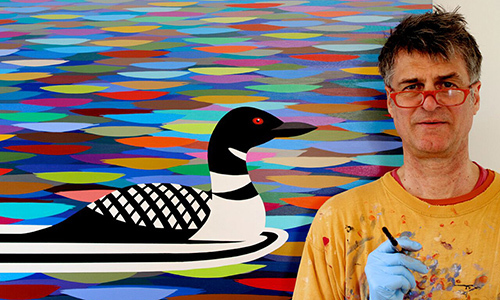 A prolific solo artist and composer of film and TV scores, he has designed album covers, posters, music videos and clothes (The Shuffle Demons’ famed costumes), and exhibited his paintings. One such work, “Red Canoe,” was bought at the True North Gallery opening by music industry veteran Frank Davies. Art was Swinghammer’s prime early pursuit. “I had my first gallery show at 16,” he says. “I thought I’d keep music on a more personal level, keep it uncontaminated.” He attended Toronto’s OCAD (Ontario College of Art and Design) and now works concurrently in music and visual art. He has interesting observations on their similarities and differences. “Painting is the ultimate indie act, but it affords very little opportunity to integrate ideas and energies from other people,” he says. “That’s a beautiful thing in making music. I enjoy that balance of the social and the solitary.